Check out Tobi's Roses Draped Lapel Blazer Get your day to night look with the Roses Draped Lapel Blazer. Featuring a draped lapel and front pockets. Pair with fitted pants and sheer blouse. 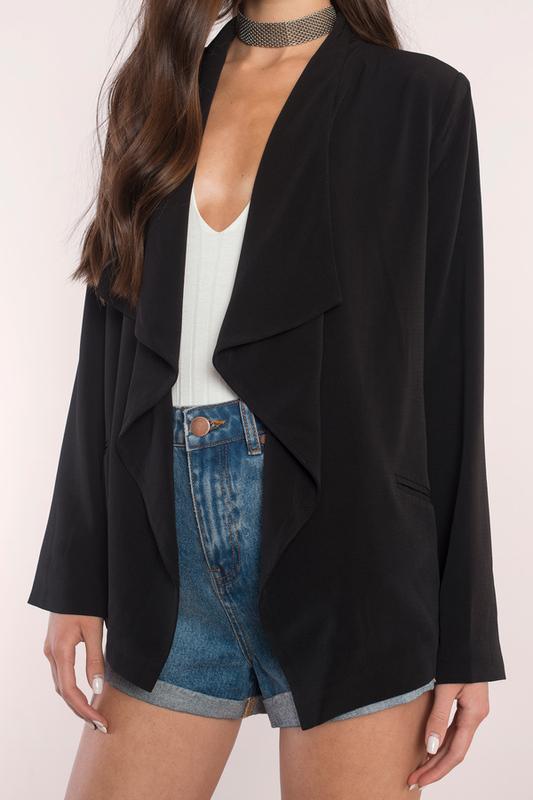 Get your day to night look with the Roses Draped Lapel Blazer. 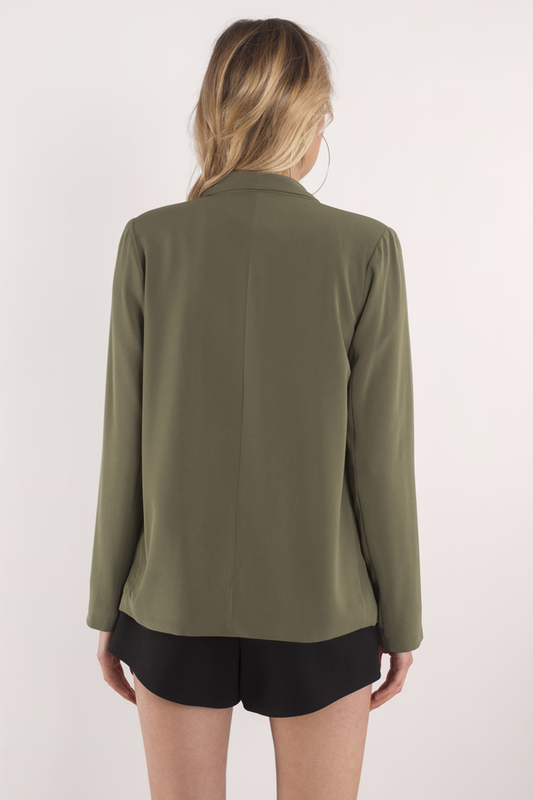 Featuring a draped lapel and front pockets. Pair with fitted pants and sheer blouse. Olive modeled on a size X-Small. Model's profile: height 5'9", bust 32", waist 24", hips 34"